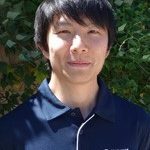 Kento is a Remedial and Sports Massage Therapist. In 2008 he graduated from Roanoke College in U.S. with an Exercise Science degree. 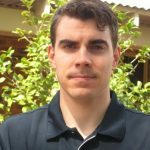 He then attended the Australasia College of Natural Therapy in Sydney and received a Diploma of Remedial Massage and Sports Massage in 2010 and is currently working towards further qualifications in Physiotherapy. 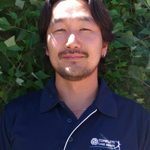 Kento has worked at the Japanese Acupuncture and Shiatsu clinic and Traditional Chinese Medicine clinic in Sydney as well as helping the A-league team Sydney FC for 2010-2011 Season. Outside of work Kento enjoys spending time with his young family. Igor graduated with a Diploma of Remedial Massage and Cert IV Fitness in 2011 from the Australian Institute of Applied Sciences in Brisbane. Also, he has a Bachelor degree as a Physiotherapist from Brazil in 2007 with plenty of work experience in Sports Injuries. Igor was part of the physio team integrated in the Pan-American National Team of Handball hosted in Sao Carlos, Brazil 2008 and States Games in Sao Paulo from 2006-2008. He has spent a lot of time treating high performance athletes with acute and chronic neck, shoulder and back problems as well as tradies and clients from various walks of life. Igor combines his international experience with his professional knowledge to deliver treatments that work to achieve your health goals as fast as possible. He particularly likes to treat clients with tough cases and has a reputation for being able to make the corrective improvements needed. Outside of work, Igor plays social soccer but he loves water sports such as swimming, water polo, surfing and kitesurfing. He was a professional swimmer with some nationals and states championships medals as well as being part of the team that won two titles of water polo amateur’s state championship- water is his natural habitat. Ryan specialises in treating, correcting and preventing muskuloskeletal dysfunction. His training has given him the understanding of the body’s muscular and skeletal system and how their dysfunctions affect each other causing pain and discomfort, postural issues and misalignments. Ryan can also treat sports injuries such as sprains and strains and injuries from overuse (repetitive strain injuries). His treatment style is firstly to assess the body’s function and dysfunction, treating the root cause of the issue rather than just the symptoms, educate his patients and provide ongoing self management tools such as stretches and exercises to prevent injury re-occurrence. Outside of work Ryan enjoys playing basketball, playing board games with friends, travelling and snowboarding. 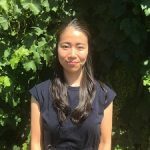 Zana enjoys the hands on approach to massage treatment and specialises in releasing tension, injury and stress management through a combination of massage therapy techniques to encourage the body’s ability to self heal. 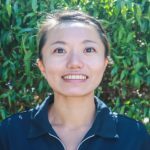 Through her manual techniques, her understanding of the body’s function and underlying dysfunctions Zana is able to treat symptoms holistically, alleviate pain and allow her patient’s bodies to return to optimum health. Outside of work Zana enjoys keeping fit doing cardio work outs as well as painting watercolours for relaxation. 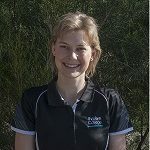 Ainslie received her Diploma of Remedial Massage, including technical and practical training in early 2018 from Evolve College, Perth. From an early age, Ainslie saw firsthand the benefits a remedial massage therapist can have on the overall wellbeing of the body and this inspired her to train as a massage therapist herself. She has also recently completed additional training in pregnancy massage so she is able to treat soon to be mothers as well as post birth massage care. Ainslie is keen to get her healing hands onto as many new patients as she can. She treats each patient as a whole and aims to get to the root cause of the issue as well as treating the symptoms. Outside of work- Ainslie enjoys swimming, dancing and playing squash as well as spending time with her nephew and nieces. Chihiro has a Diploma of Remedial massage from the Australian College of Sports and Fitness. She has worked with a wide variety of patients in the past and is able to treat people ranging in age and physical needs. Her initial interest in Remedial Massage began in Japan where she understood the healing benefits massage can have. Her approach to treatment is tailored to the specific needs of each patient and she will work together with the patient to work towards better health outcomes. She uses a combination of techniques such as functional release, Shiatsu and myofascial release (among others) to relieve pain, regain balance and support the body’s ability to self-heal. Outside of work Chihiro enjoys starting her day with yoga which she has been practicing for almost 10 years to set her up for the day ahead. Mic is a highly experienced Sports and Remedial Massage Therapist well versed in effective management of all types of musculoskeletal injury through both treatment and functional exercise-based rehabilitation. Mic turned his passion for sport into a passion for helping people feel better. 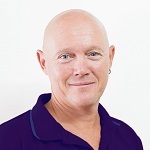 As a Massage Therapist he helps his patients to perform optimally, recover faster and live and move pain free. With 29 Ironman Triathlons under his belt and 3 World Championships, Mic has received a lot of body work through the years. As a result, his focus has been to package his soft tissue skills into a treatment that combines many different techniques to achieve optimal results for a wide variety of patient needs, whether elite athlete or weekend warrior. Over the years Mic has worked with high level athletes at the Ironman Triathlon World Championships in Hawaii, supported a local AFL Team in Townsville on and off the field to win 3 Premierships and has volunteered at many local events in Townsville including Triathlon and Running Festivals and Track and Field Queensland Championships. As well as this, he has also worked with some of the WNBL Townsville Fire Basketball Team Athletes and some of the best Australian Powerlifters (Pro Raw Winner 2016 and 2018) and Bodybuilders.